Celebrate this special holiday with your friends and family in Guangzhou’s first upscale boutique hotel. Book our river view Executive Room starting at CNY 1,288 per room per night and enjoy Easter Holiday B.B.Q. Dinner with free flow of soft drinks for two at Rooftop Bar. * Valid booking period : Now until April 20, 2019 | Valid stay period : April 20, 2019. * Reservations needed to be guaranteed by valid credit card at the time of booking. * Reservations can be modified 48 hours prior to date of arrival date. * Cancellation within 24 hours prior to arrival date will be resulted in one night accommodation charge. 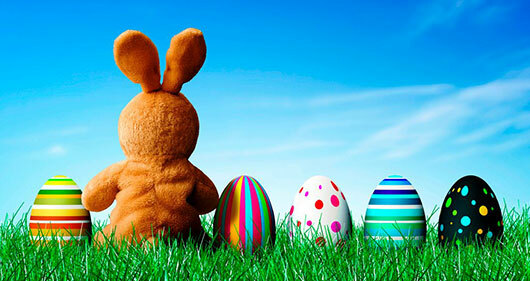 * For kids below 8 years old, we will charge half price for Easter B.B.Q. Dinner. * No extra bed is allowed in all guestrooms. * All room rates are subject to 16.6% surcharge and all applicable taxes. * Reservations are subjected to hotel room availability. * Offers cannot be used in conjunction with any other promotions. * LN Hotel Five, Guangzhou reserves all rights to the above promotion.